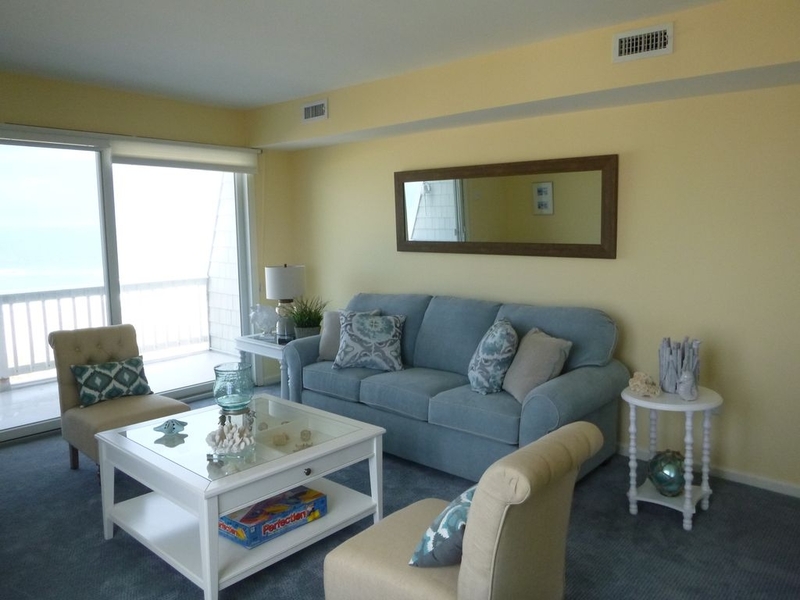 Beach Haven Condo rental: OCEANFRONT WITH POOL!! 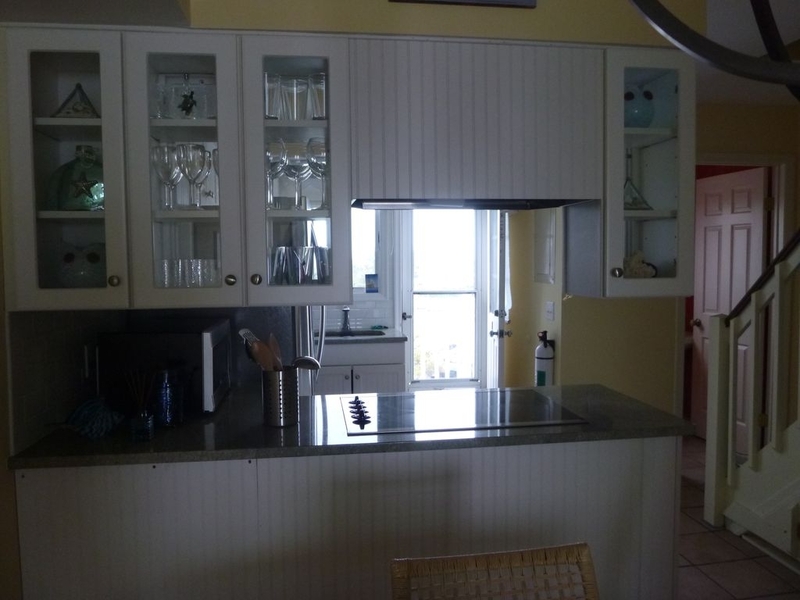 Spectacular Beach Haven Oceanfront Condo Absolutely Gorgeous Oceanfront End Unit Condo in the heart of Beach Haven on Centre St. 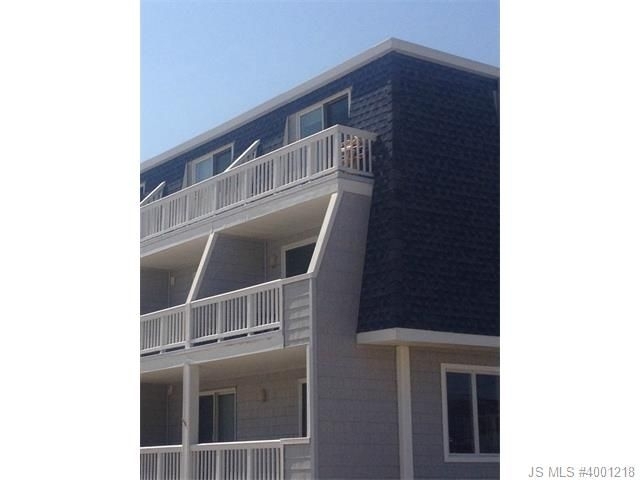 Enjoy 2 levels with private decks and unobstructed beach views. 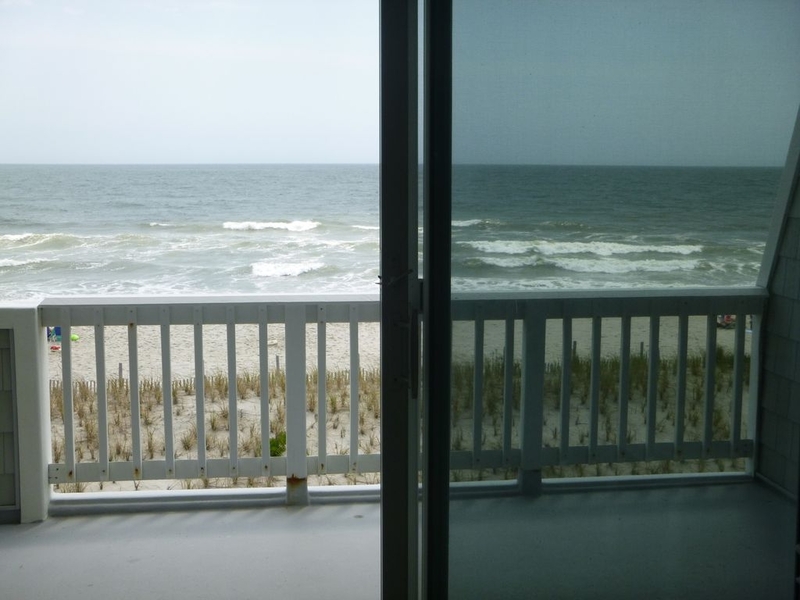 Just open the sliding doors and listen to the sounds of the ocean. Play on the beach all day and head over to the pool in the afternoon. 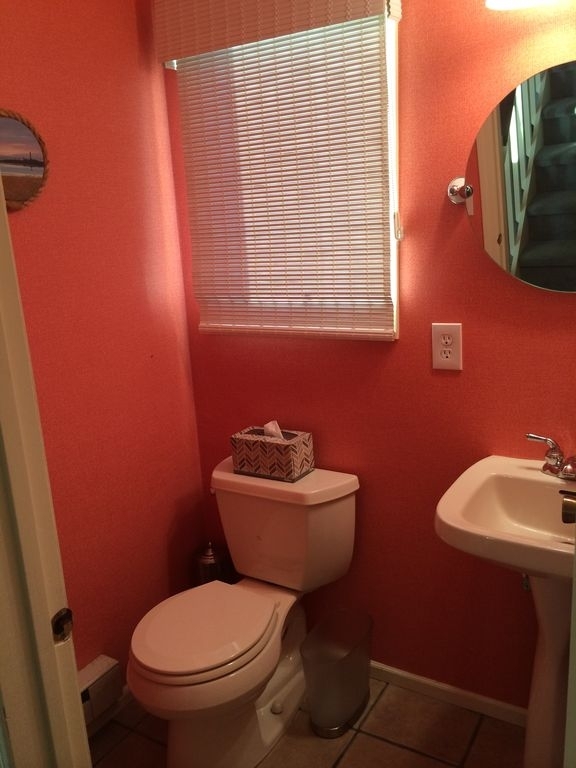 2 bedrooms, 2 full bathrooms, ½ bath (sleeps 6). The entire condo has been recently furnished. Every room has a new flat screen tv with high speed DVR and Wi-Fi throughout. 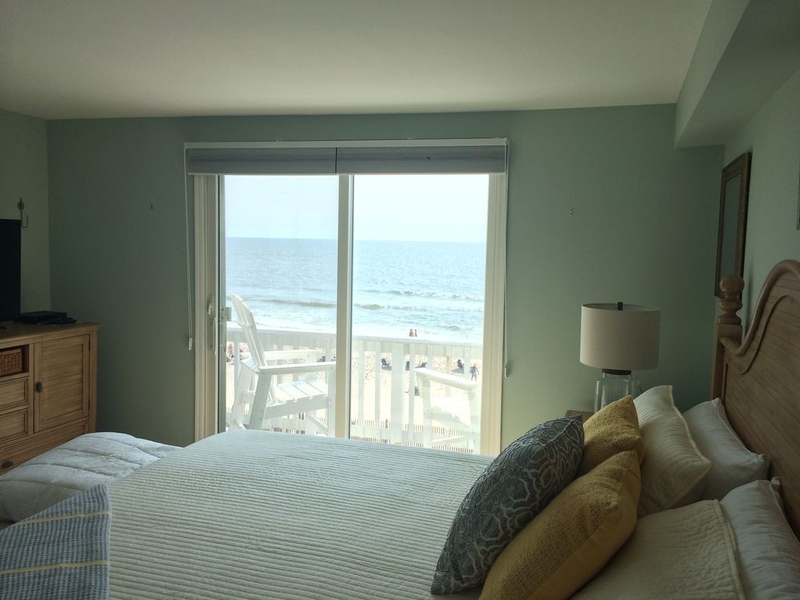 The master bedroom has a king bed, private full bathroom, 43” flat screen tv and a huge deck overlooking the ocean. The other bedroom has a queen bed, full size futon, and 32” flat screen tv. Kids will enjoy watching tv on the futon couch while adults are downstairs. 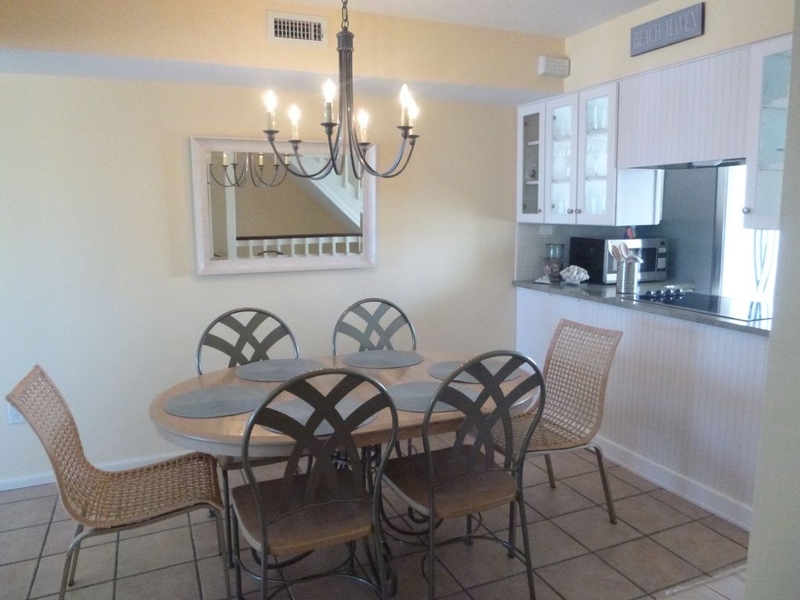 Living room has a 43” flat screen and patio doors leading to an oceanfront deck with 180 degree panoramic views of the beach. 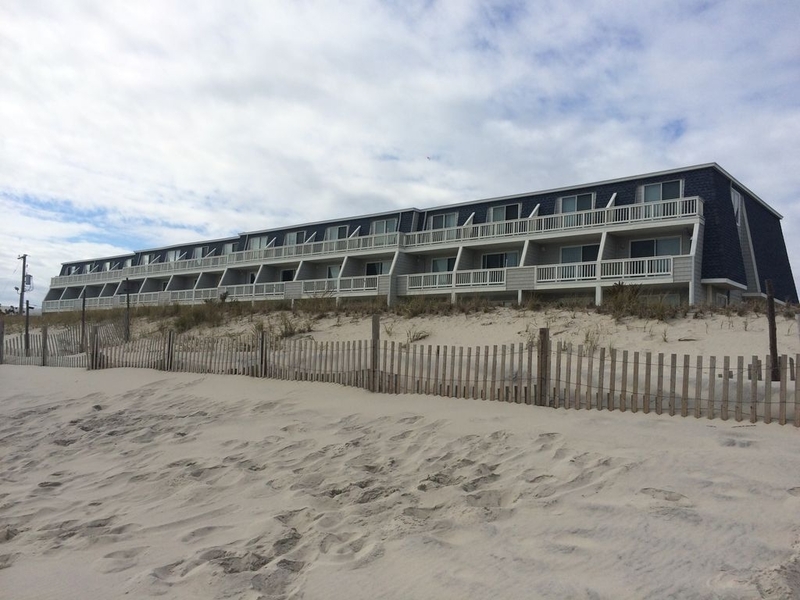 This is by far the best location on LBI! 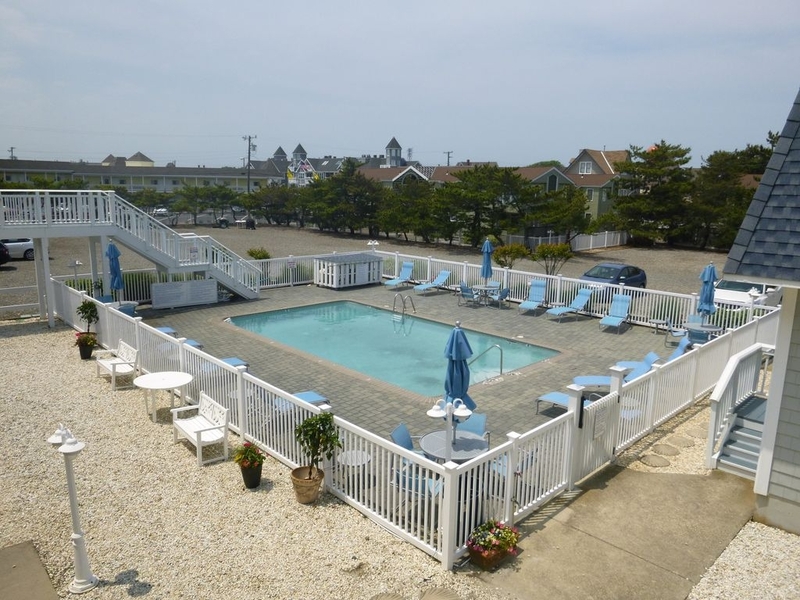 Our unit is on the North end and is steps away from the famous Sea Shell Hotel, which features a new tiki bar. 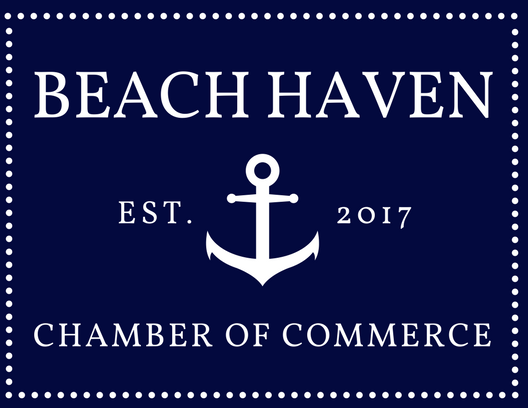 Enjoy the best that Beach Haven has to offer-- restaurants, shopping, amusement park, ice cream parlors, mini golf, fishing, museums and a public library.…all a short walk from the condo. 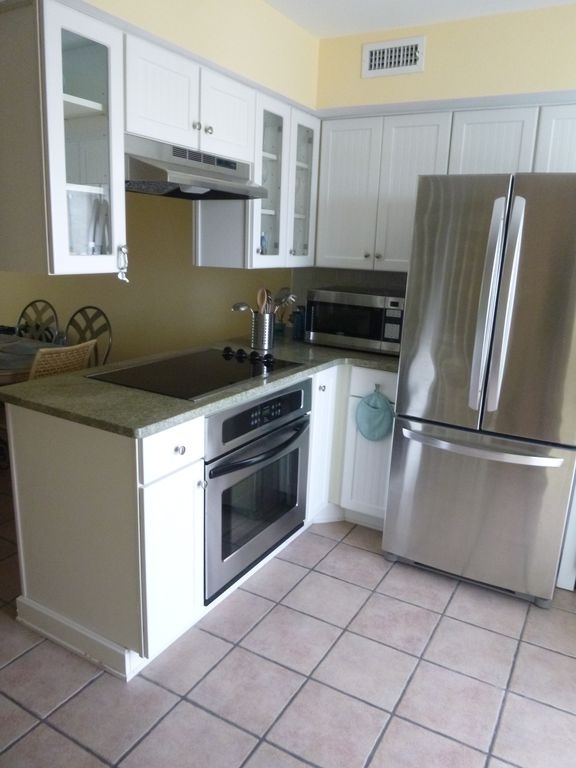 Recently renovated kitchen with stainless steel appliances, new microwave and K-cup coffee maker. 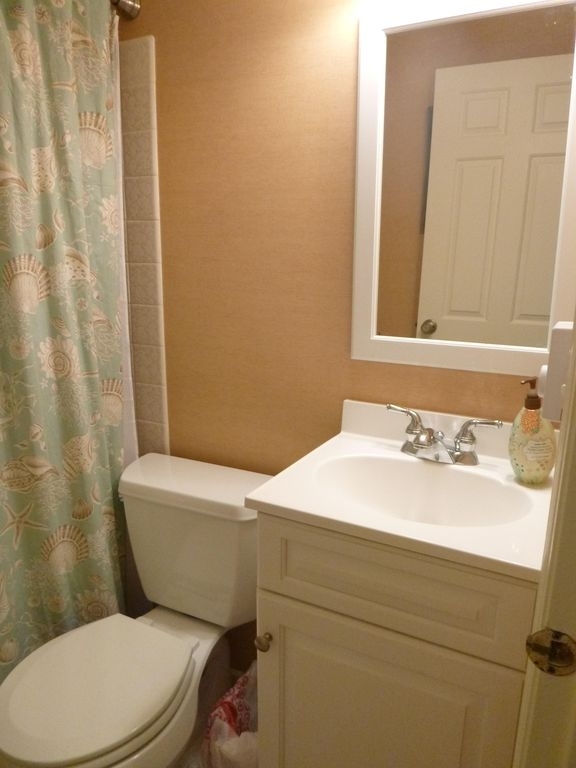 Full sized washer/dryer, reserved parking and private outdoor cabana with shower. 4 beach chairs, umbrella, and too many beach toys to list (boogie boards, paddle ball, crab trap, and more!). Amenities include 3 flat screen TV's (living room and each bedroom), digital cable service, Blueray DVD player, and free wireless high speed internet. Pool with life guard in-season. Beach life guard station in front of unit. Outside gas grill available for your use. Private parking lot with 2 parking spots. Condo , 12,916.69 sq. f.
Stunning views! Bright, airy, immaculate vacation home! Every amenity that we could have needed or hoped for was right there for us. 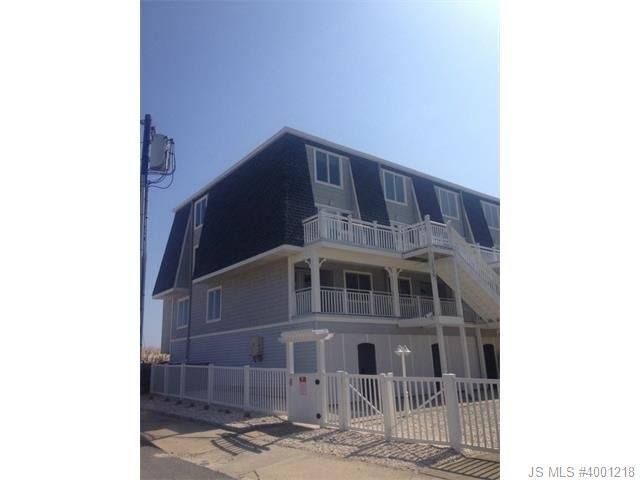 Walking distance to the best part of town and roll out of bed onto the beach. We were able to watch our kids play on the beach from the balcony and call them in for lunch without leaving our chairs. 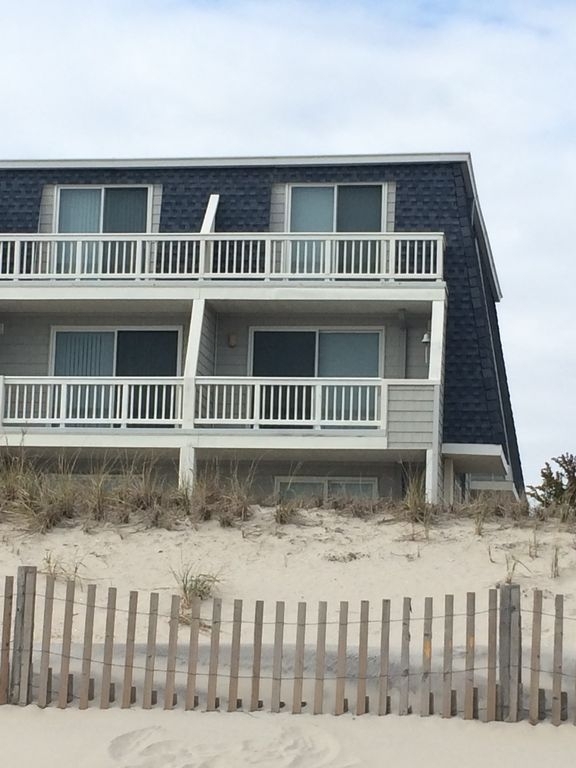 It really is the perfect beach house. We are looking forward to going again at the end of the summer! Amazing Stay in Beach Haven! 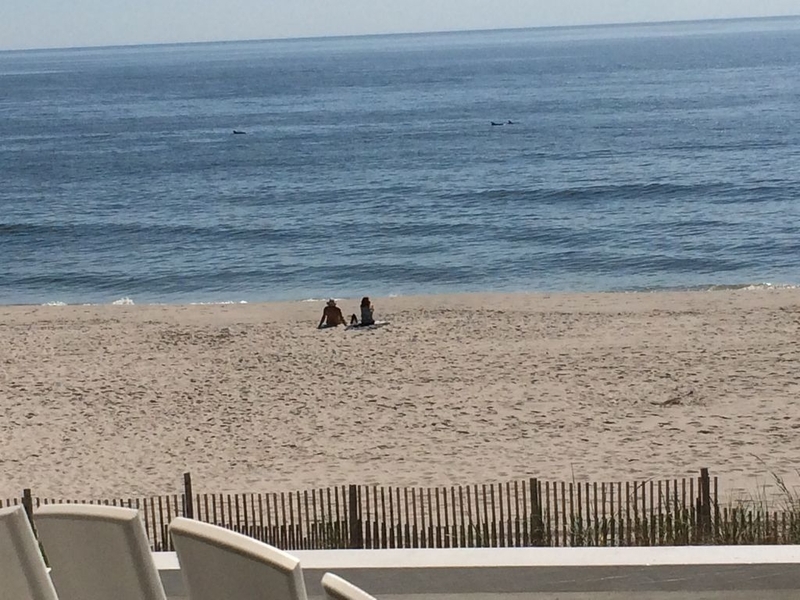 My husband and I recently returned from an incredible week in LBI. We are so happy to have stayed in this beautiful condo. The location simply can't be beat. 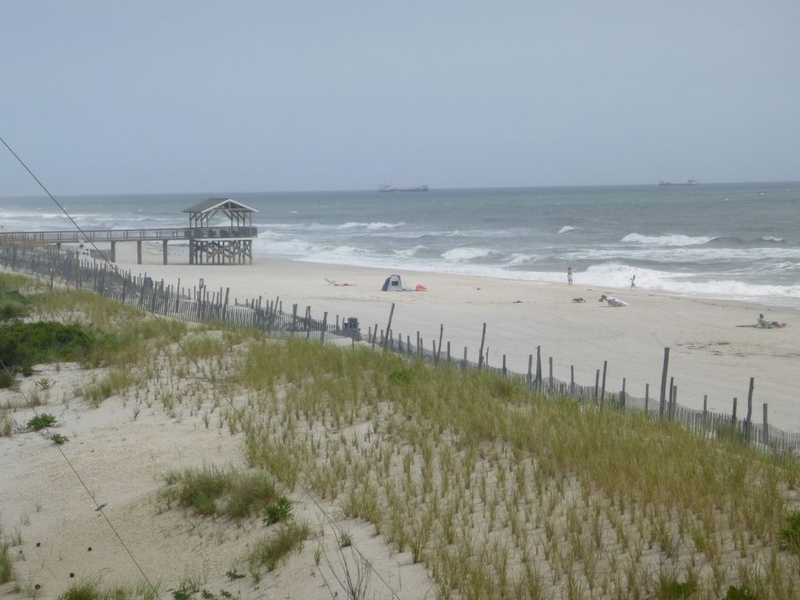 It's right in the heart of Beach Haven ... which means plenty to do within walking/biking distance. With the exception of driving to dinner one night, we didn't even look at the car! The condo itself is absolutely wonderful. 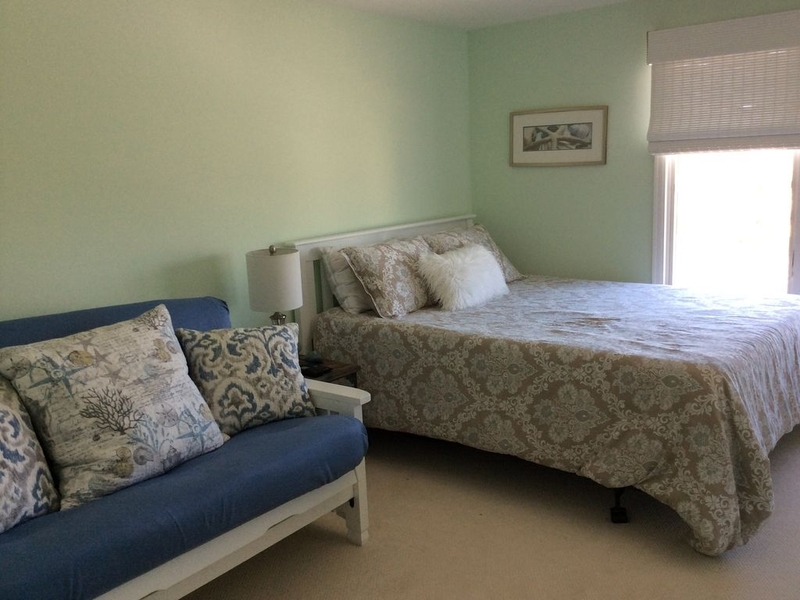 It's extremely clean (I'm a stickler for this), beautifully decorated, comfortable and as advertised. 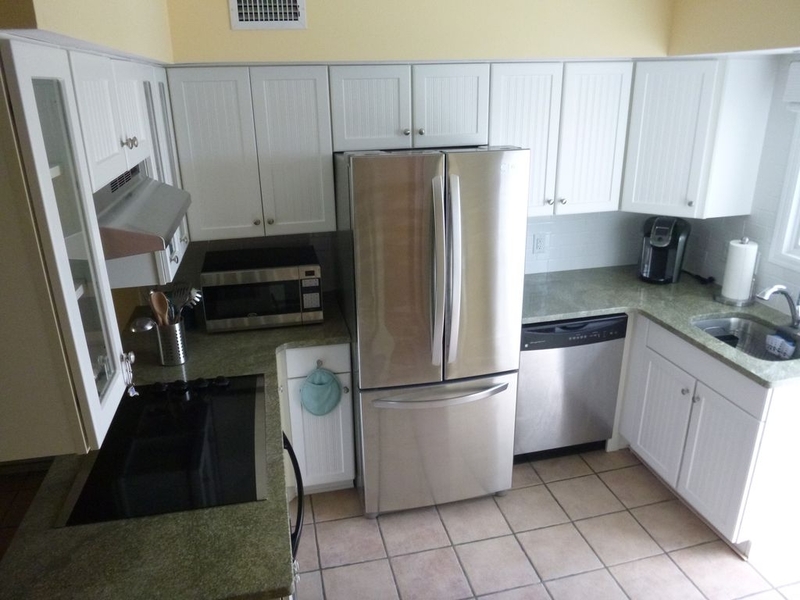 We had everything we could possibly need (stocked kitchen, etc.). 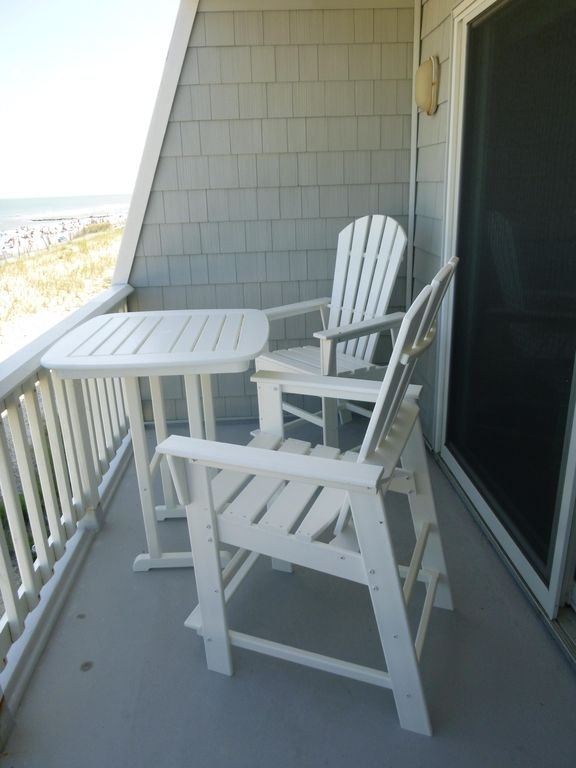 The beachy decor is so inviting and comfortable that we looked forward to those lazy parts of the day when we'd relax, have a snack and read on the balcony. We just loved being there. You'll likely also love the cedar-lined cabana. 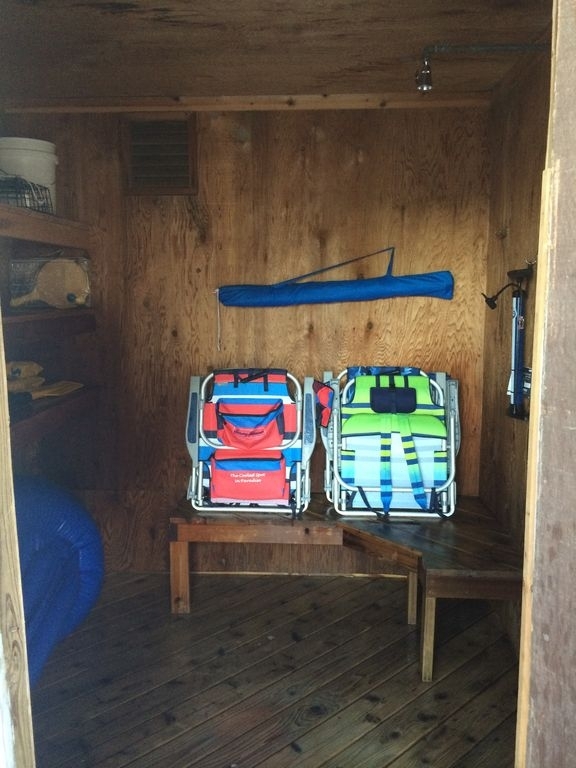 It houses an outdoor shower, hose, bench, great beach chairs, toys and room to spare for a couple of bikes. It is important to note that there is some stair-climbing involved, so if you have trouble with that, you might want to carefully consider. For my husband and me, it was great as the added exercise ensured our clothes would still fit after several visits to the nearby ice cream shops. The owners are extremely responsive to questions, friendly and truly care that their guests have an enjoyable experience. I can't say enough about this condo. 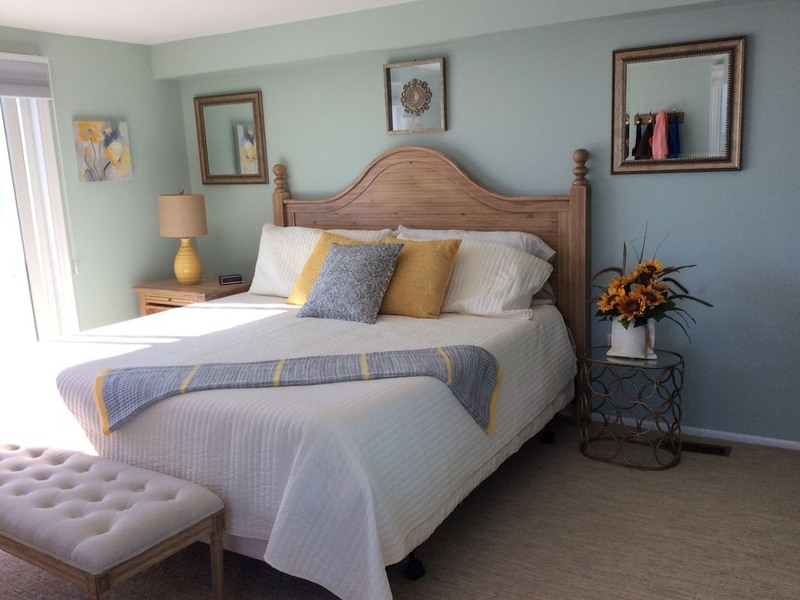 If you're looking for a beautiful, clean and comfortable place to stay in the heart of Beach Haven, I highly recommend inquiring about this unit. Enjoy! We just got back from a 1 week stay at the Renaissance, Unit 1. What can I say, other than, PERFECT VACATION! This condo is seriously the most beautifully decorated place we have ever stayed. The owners thought about everything we could ever want or need. We are a family of 5 and we had plenty of space. The futon in the kids room was a big hit. The location of the condo is amazing. We parked our car on the first day and never moved it. Daily bike rides, walks on the beach, dips in the pool...So much fun. We had such a wonderful stay and will be coming back next year for sure. 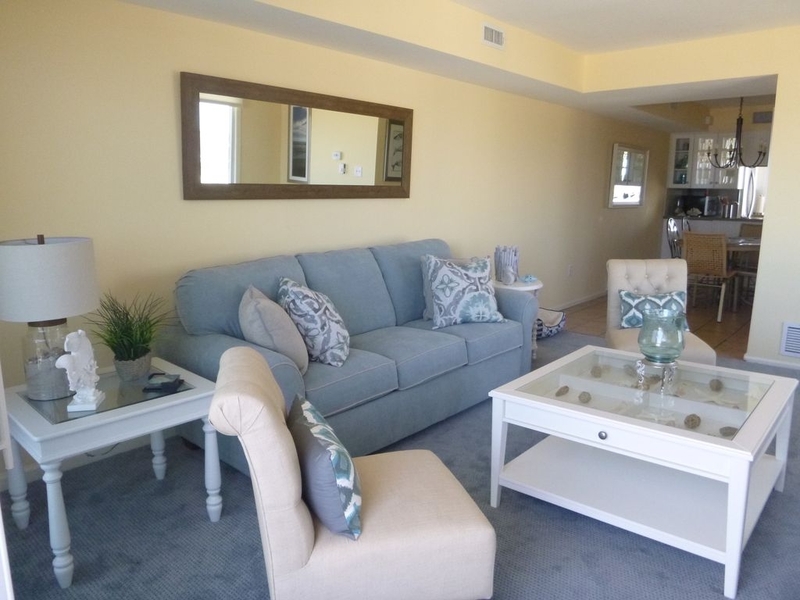 Beach Haven condo- great views!! 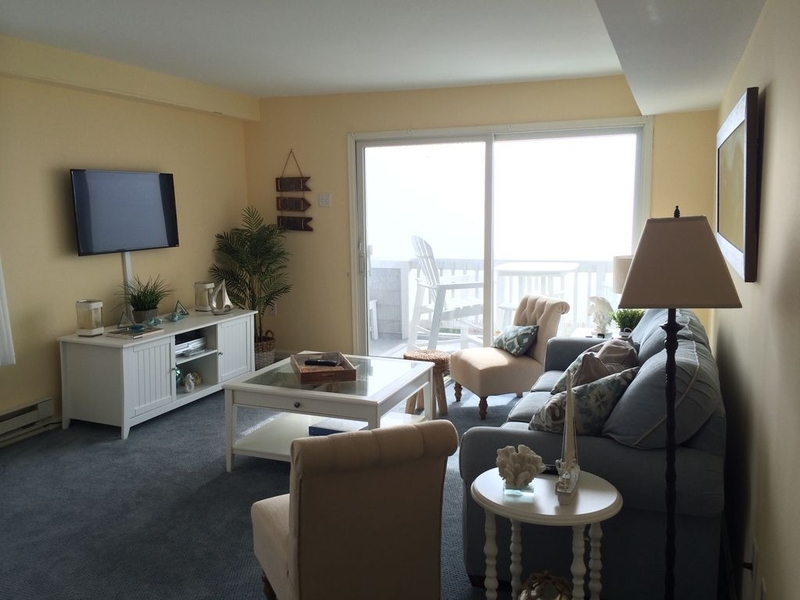 This was our first time renting in Beach Haven and we couldn’t have been happier with this amazing condo. From the moment we walked in, we felt like we were in a five star hotel. The furniture was gorgeous and extremely comfortable. The kitchen was stocked with everything we could possibly need. The kids immediately ran up to their bedroom to find an amazing futon and flat screen TV. This came in so handy as the kids really felt like they had their own space. At night they would watch their own movie upstairs and we watched ours downstairs. We also loved the pool and outdoor shower. It was really nice that the owners provided chairs and beach toys. Nice touch! Of course I have to mention to views from the decks. 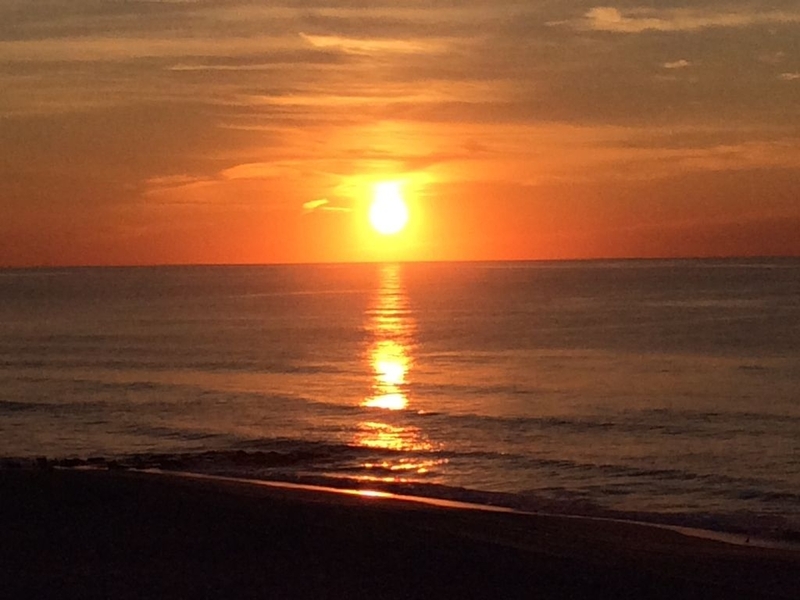 Each morning we woke up to the sounds of the ocean and watched the sun rise. At night we’d enjoyed a glass of wine while the kids ran around on the beach just steps away from us. I can’t wait to come back next year.